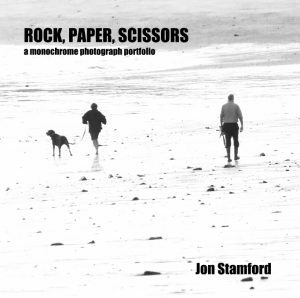 ROCK, PAPER, SCISSORS is a portfolio book of entirely monochrome photographs, in large format and printed on very high quality paper. The book has 154 pages and contains a large number of previously unseen photographs. Most are digital but there are a significant number of old-fashioned analogue images.